We'll be at Parklife selling cakes on Sunday. 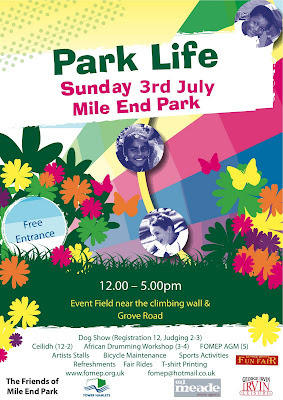 Do come along, say hello, and applaud the dog who looks most like his owner - or is it the other way round? If you want to bake or help out, let me or Clare know. Some of us will also be in the WI tent at the Big Feastival at Clapham Common over the weekend too, starting Friday afternoon. Feastival is a foodie event and it wouldn't be proper without the WI there. If you are a keen baker, there is a competition too - details above. If we don't see you, do have a sunny weekend.